Google has this week rolled out a new update to its Gmail email service, which now brings with it a few new handy features for outgoing mail. One of the great new additions is a new star feature for out going mail that allows you to “Star” mail you have sent enabling you can then follow up on it at a later date. 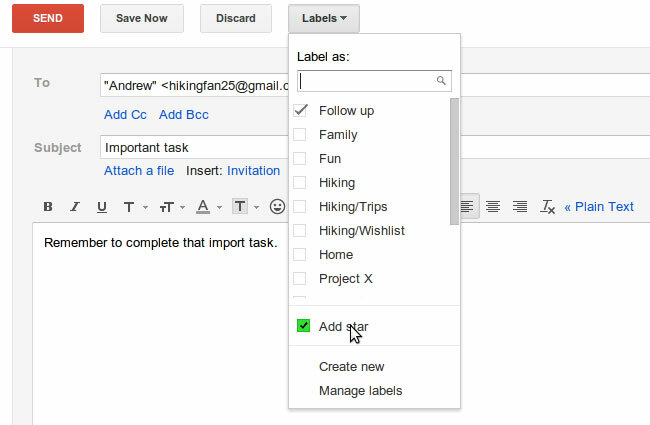 Another handy feature added within this update now allows Gmail users to add labels to outgoing messages. Again allowing you to manage and organise your outgoing email for easy reference and follow ups at a later date. But don’t worry if you add stars and labels to outgoing messages recipients of your messages won’t see either in the message they receive from you.